While 2015 was an awesome, challenging, successful year for IPKO Foundation, we are looking forward to make 2016 an inspiring one as well. We will forget about this year resolutions, instead we will focus on putting a serious effort to serve projects which will connect the community for good causes and, as per usual, we will keep an eye on highlighting the involvement of youth in technology. Have you heard the news yet? DOKU:TECH has already launched the official date which you have been waiting for so long! Save the date 6-7 August, because once more the conference will be the scene of marvelous speakers and curious audience. It’s going to be something you don’t wanna miss. 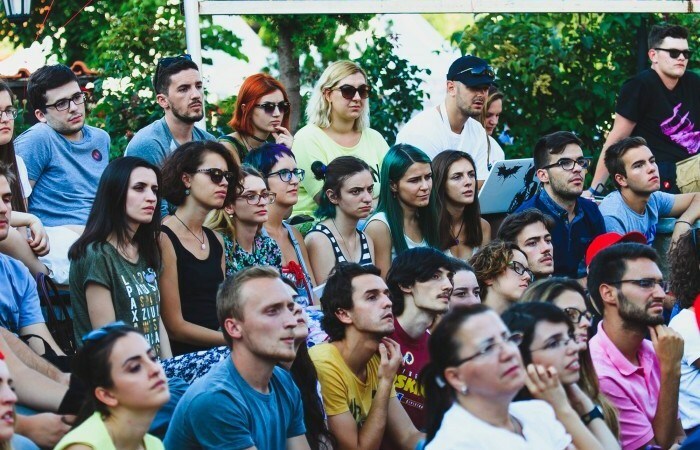 BarCamp will follow its monthly tradition by bringing new speakers, engrossing topics and the most diverse crowd in Kosovo. Every end of the month will find us at Oda Theater, at BarCamp Prishtina listening to successful stories from people who aren’t afraid to dare and share! The annual stimulating activity, RobotiKS, will be the meeting point of kids with unlimited imagination who use their logic and skills to create LEGO robots. Furthermore, IPKO Foundation will continue its support for girls in technology by bringing together individuals from the ICT sector, who have the ability and credibility to inspire girls and young women into changing the social paradigm of the ICT profession by emphasizing the fact the ICT has no gender. We can’t wait to give you the biggest news for this year, from which a lot of individual and organizations will benefit. But that’s all we have for you now and we are afraid you have to wait a bit more to hear the details regarding this opportunity! Follow us on Social Media channels to be updated with the latest news from IPKO Foundation. One thing we promise: This is just a start of a long year filled with colorful projects, events and activities. Stay tuned!